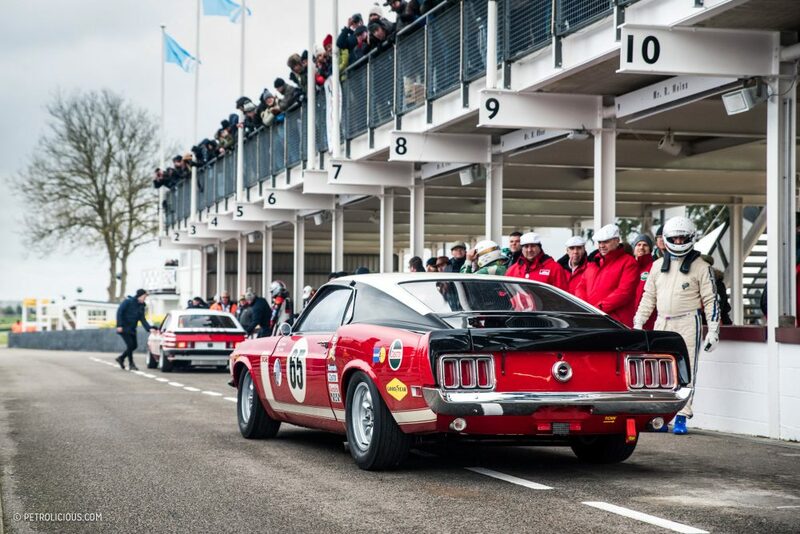 With its loping V8, aggressive stance, and eye-catching livery hinting at its American heritage, spectators at the recent 76th Goodwood Members’ Meeting were treated to a memorable new addition to the historic touring car grid. 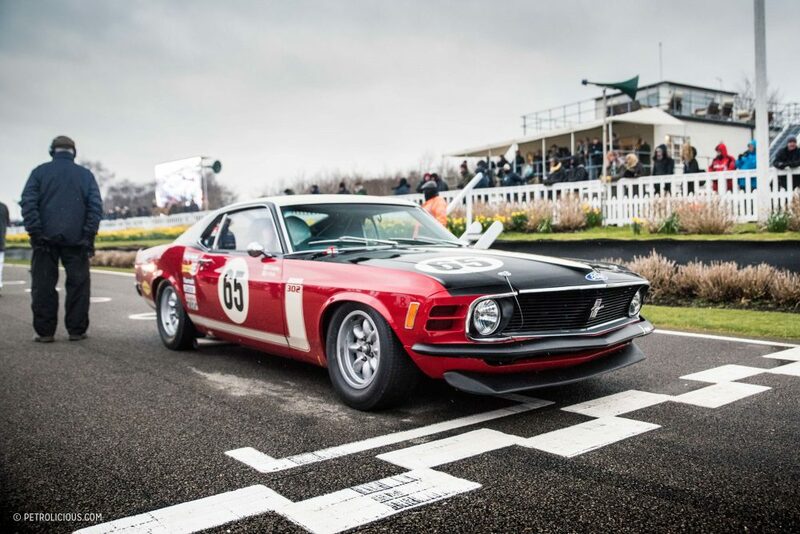 48 years after the original car was dropped in a transport accident whilst being unloaded at a port in Australia, the spirit of the Boss 302 Mustang that once competed in Trans Am and the British Saloon Car Championship has been passionately recreated at the hands of Alan Mann Racing. 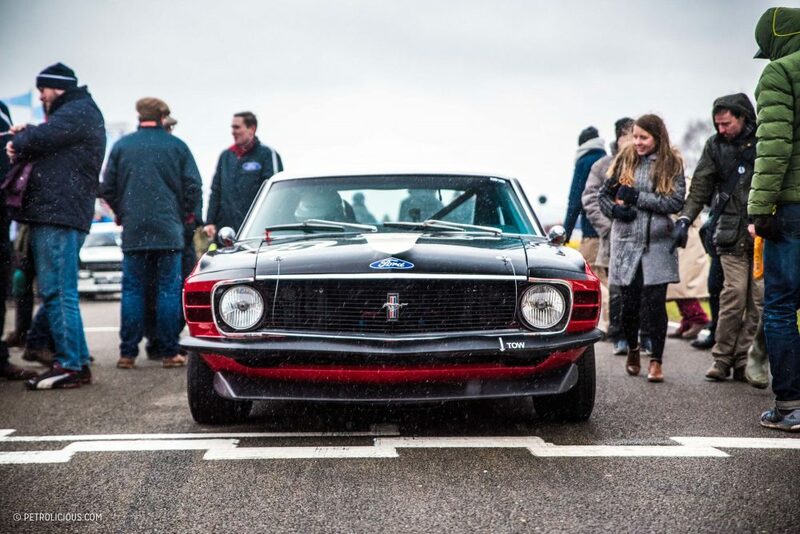 Still preparing cars to this day in the same workspace at Fairoaks Aerodrome that the original car once called home in 1970, the new Boss hit the circuit for the first time at Goodwood. 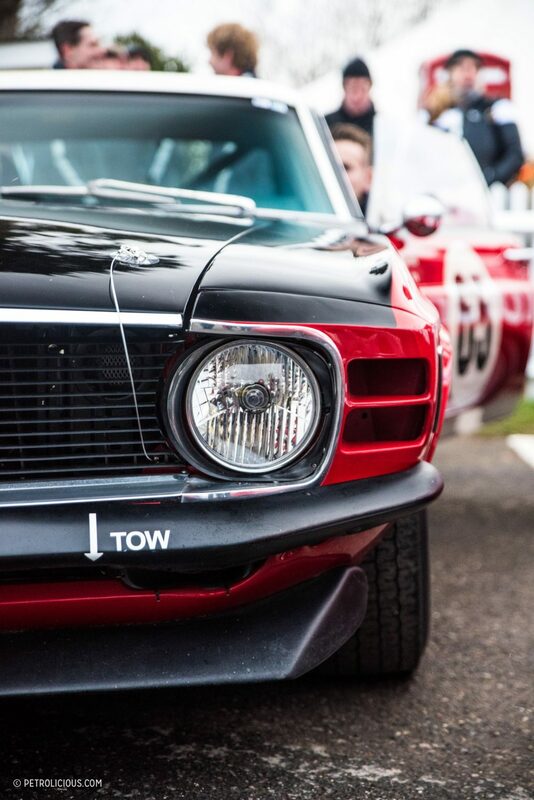 First raced in 1969, the original car competed in the SCCA Trans Am series in the capable hands of Bud Moore and Kar Kraft. 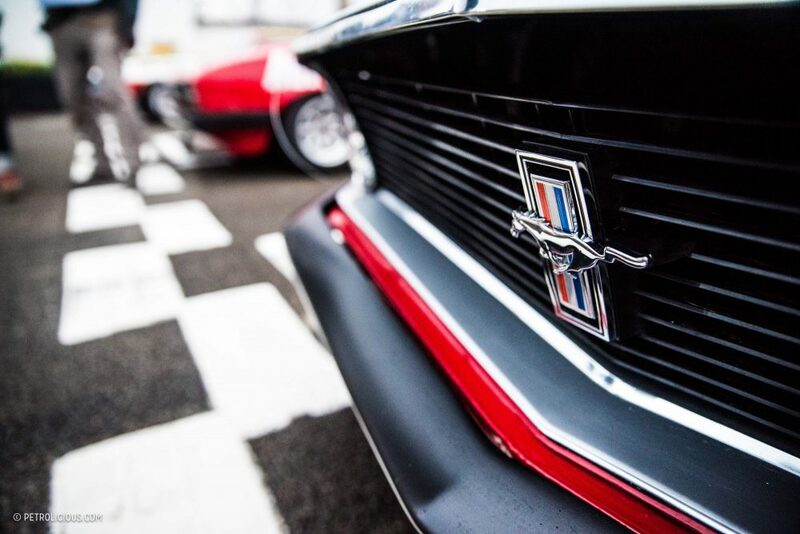 In 1970, the Mustang was acquired by Frank Gardner, who brought it to the UK with the intention of racing it in the British Saloon Car Championship (which would later become the British Touring Car Championship). 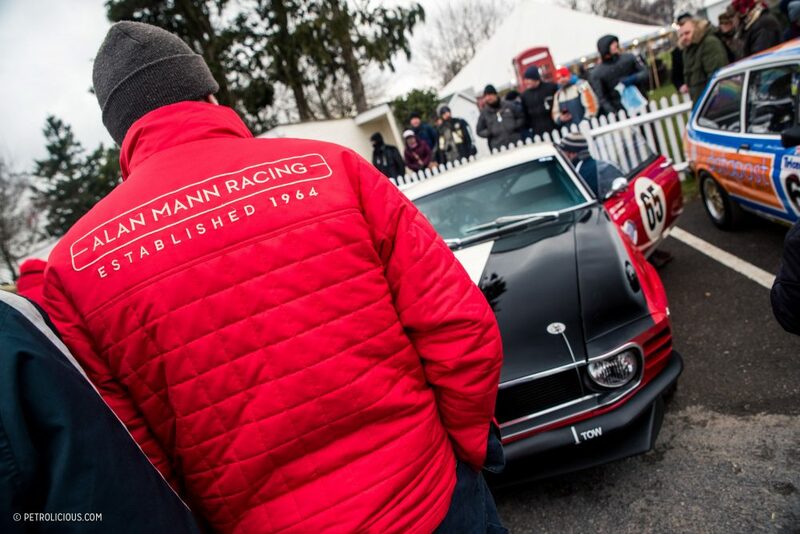 By the ‘70s Alan Mann was beginning to focus on the aviation side of things, and Gardner, together with some of the Alan Mann team, revised the Boss with modifications and tweaks to bring the car within Group 2 regulations. 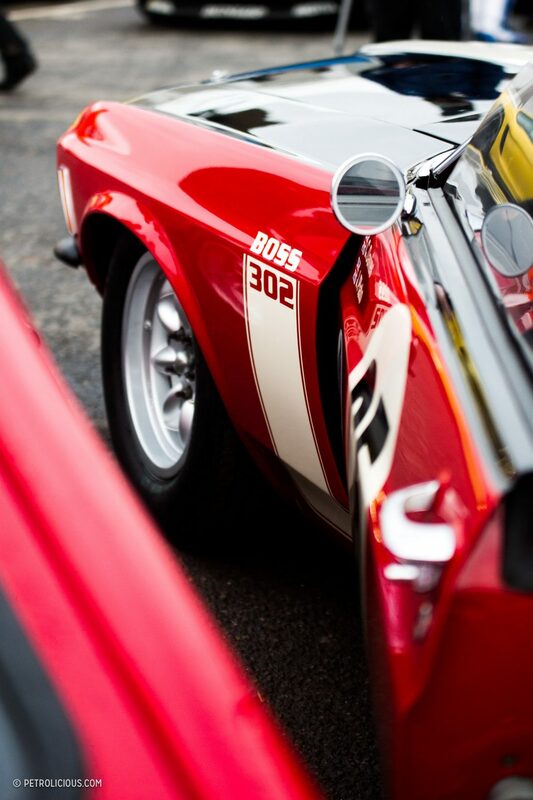 Retaining the livery from 1969, the car was fitted with new 1970 body work and it saw a successful campaign throughout the 1970 season. 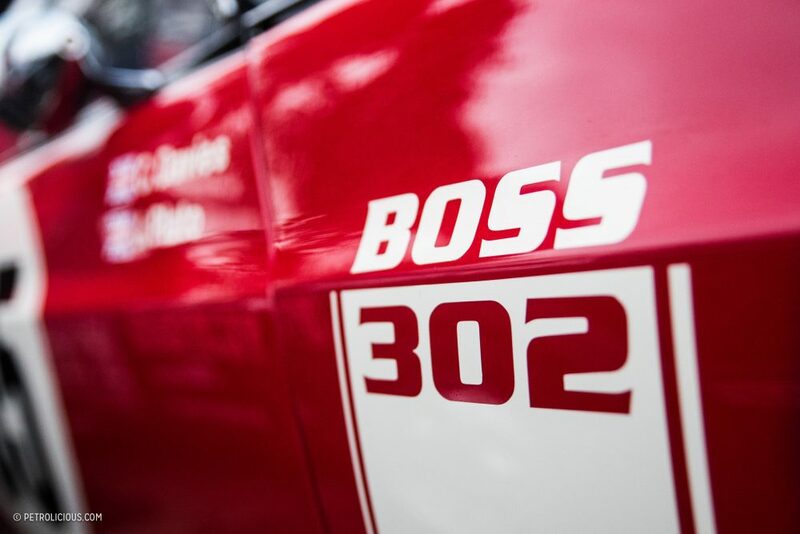 Despite taking victories in 8 out of 11 championship races, Gardner would fall short of claiming a third BSCC title with tire trouble in the final event. 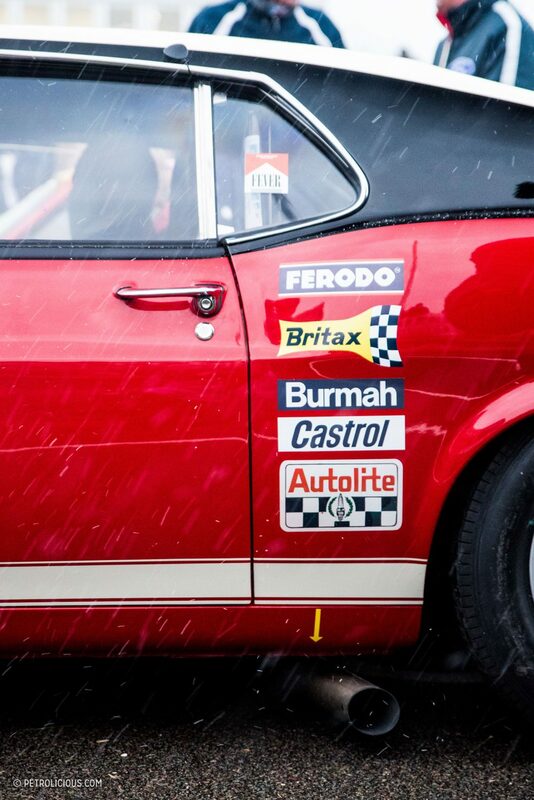 After that season, the car appeared in Africa for the Springbok race tour before being transported to Australia where the aforementioned unfortunate transport accident happened. 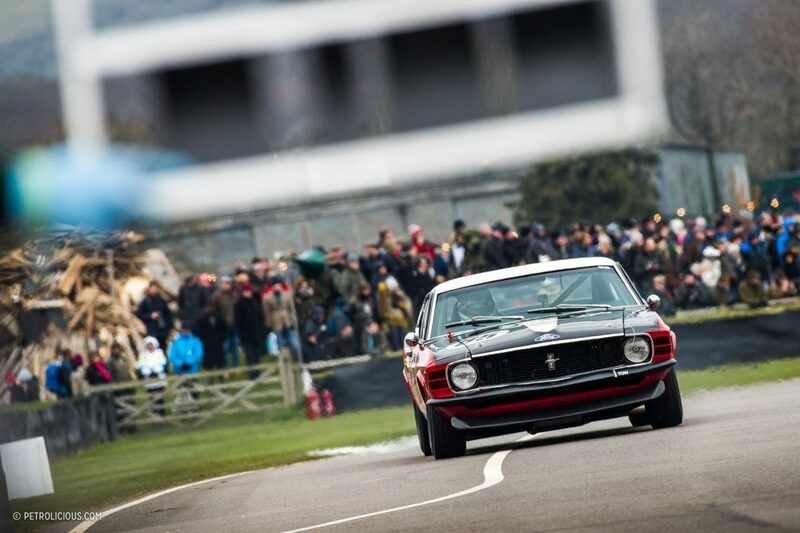 Supposably it was at this point that the original car’s body and drivetrain went in separate directions and the original Moore/Gardner Boss 302 Mustang ceased to exist as we knew it. 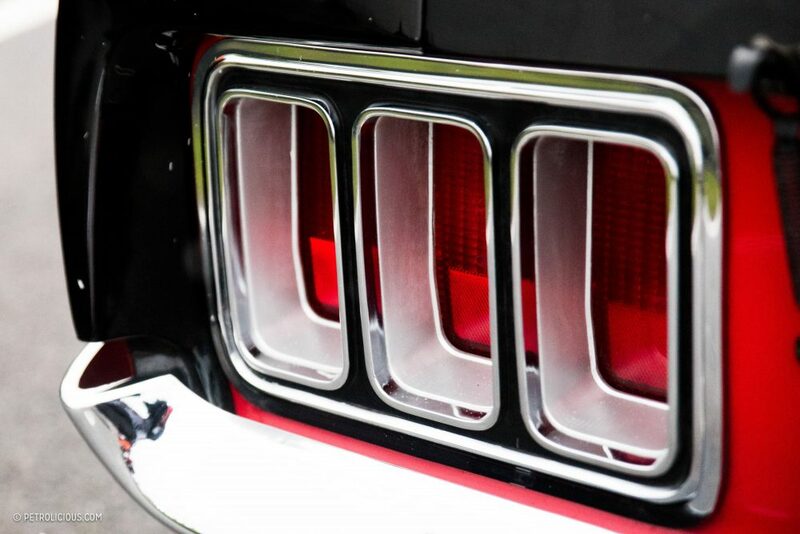 However, at the recent 76th Members’ Meeting, after a year of work, the Boss has returned. 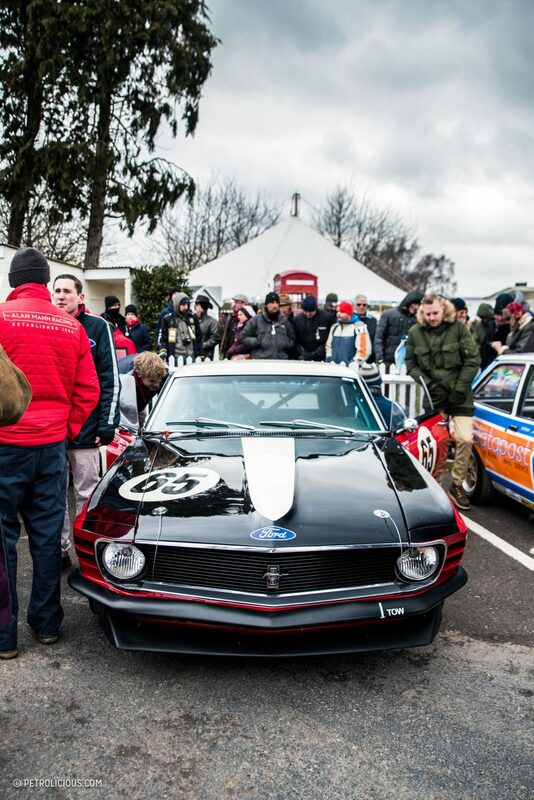 Owned and raced by Ford enthusiast Craig Davies (whose journey to Goodwood we’ve covered before in his GT40), this Boss was built under the guidance of Alan Mann’s son Henry and is the team’s first complete build of the new era. 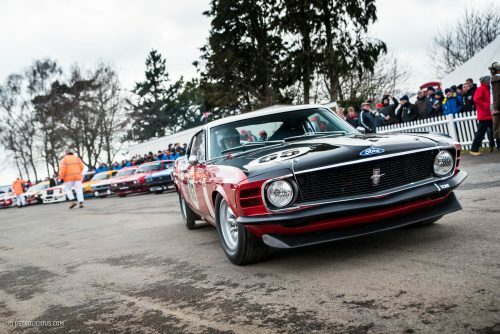 Put together around a shell sourced from the United States, the new Boss boasts 500hp and plenty of character, turning many heads at a snowy Goodwood earlier this month. 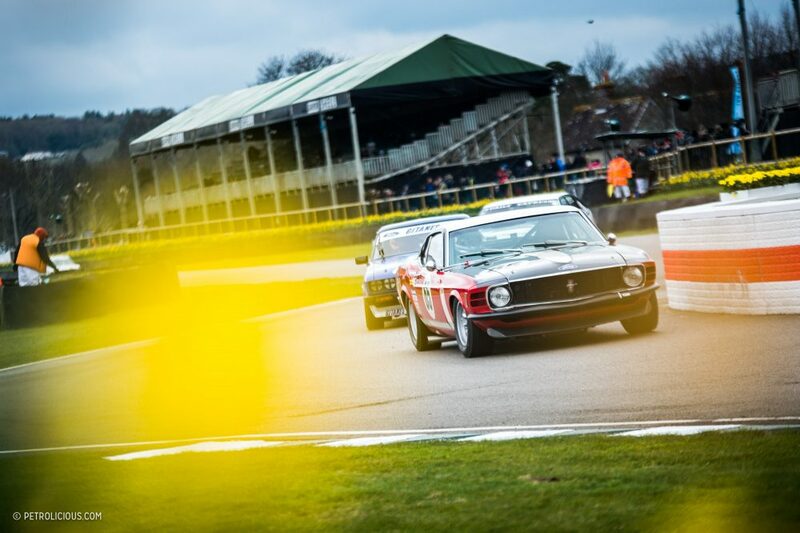 Alongside other touring car legends like Ford Capris, Chevrolet Camaros and Mini Coopers alike, the Mustang made for an exciting new addition in the Gerry Marshall Trophy race grid. Qualifying on the lead row, the Boss would stay at the front of the field after the flag dropped to mark the start of its 45-minute race. 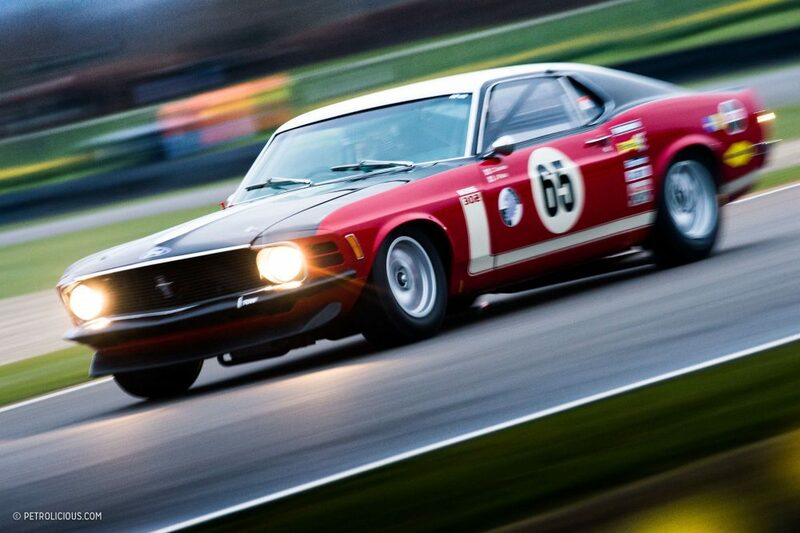 As the light quickly began to fade, it found its way into second position, the V8 announcing its approach on each lap well before I caught sight of it. 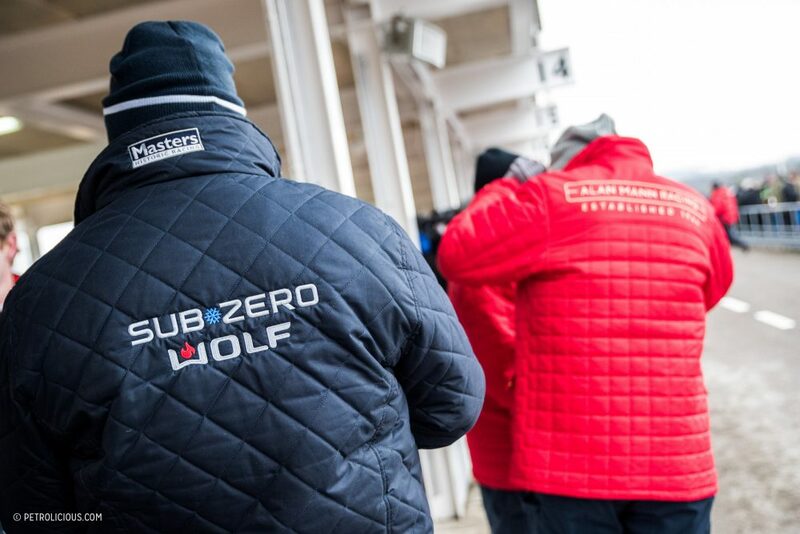 In the pits, the drivers’ suits reading “Sub Zero” reflected the challenging conditions during the weekend, but without any noticeable slowing despite the limited grip, the Boss would continue to push into the darkness. 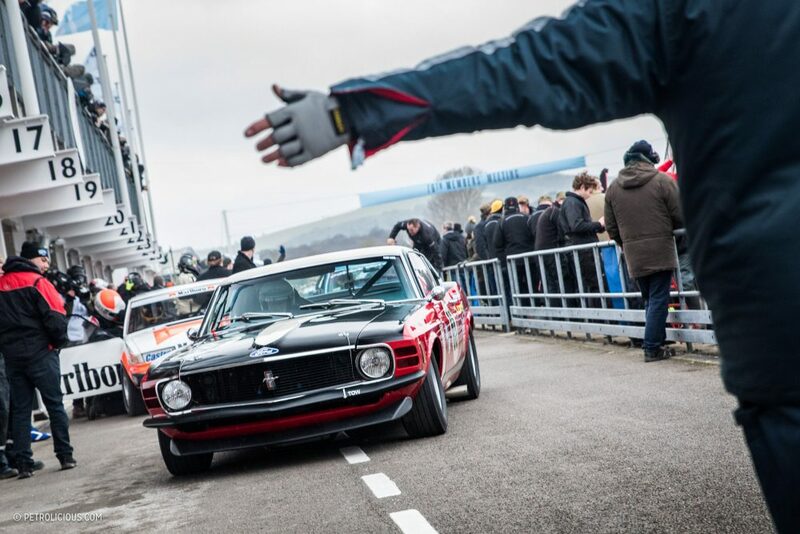 However, despite the drivers’ efforts, a podium finish was not its fate this time around; a bonnet pin failure and the resulting bit of airborne bodywork would cause the car to retire at the hands of two-time British Touring Car Champion Jason Plato. Disappointment aside, Davies remains delighted with the performance considering the race was its third outing in semi-dry conditions. 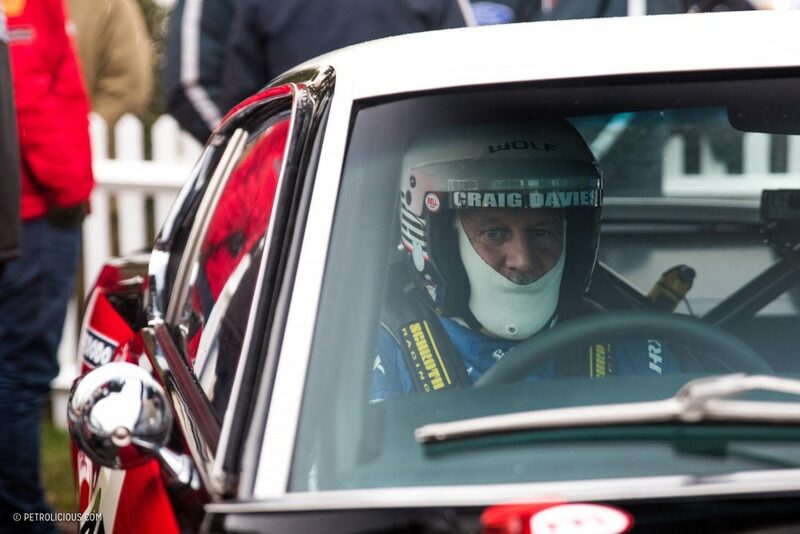 Showcasing its strengths at Goodwood, Davies is looking forward to further setup tweaking to come, with multiple planned appearances for the car’s future in the upcoming Motor Racing Legends Historic Touring Car Challenge. 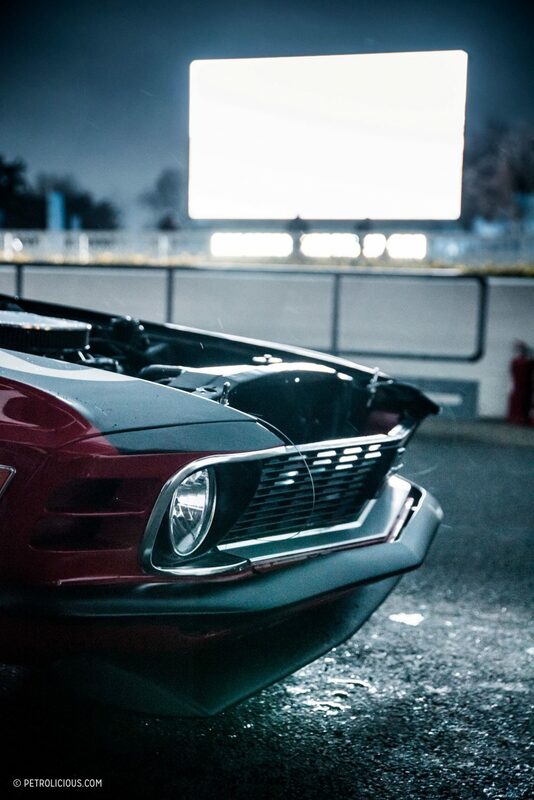 Quietly sat in pit lane following the race, the screen opposite the circuit reflecting on the fresh paint as if it was sat in a drive-in cinema, the Boss looks suitably American. 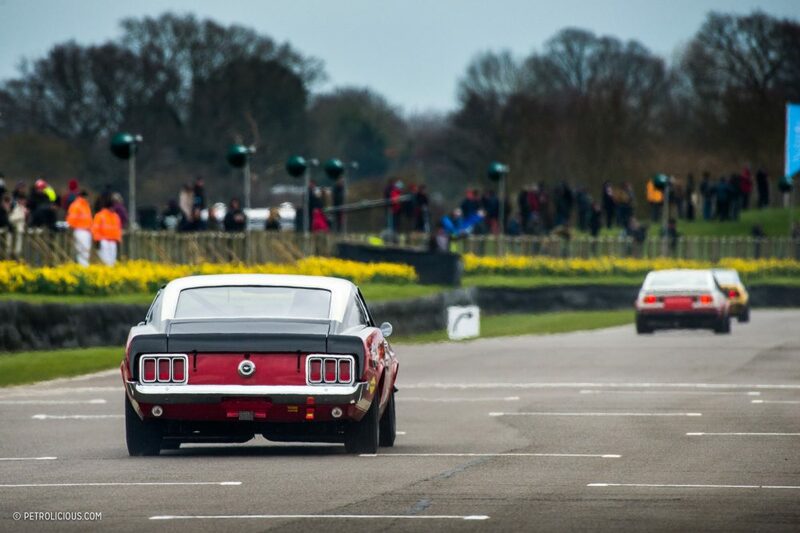 The new shell sourced from the States, built at Fairoaks Aerodrome, and now racing in the UK as a recreation of the 1970 car, it seems that the new Mustang is not just recreating the form, but pieces of the journey as well. 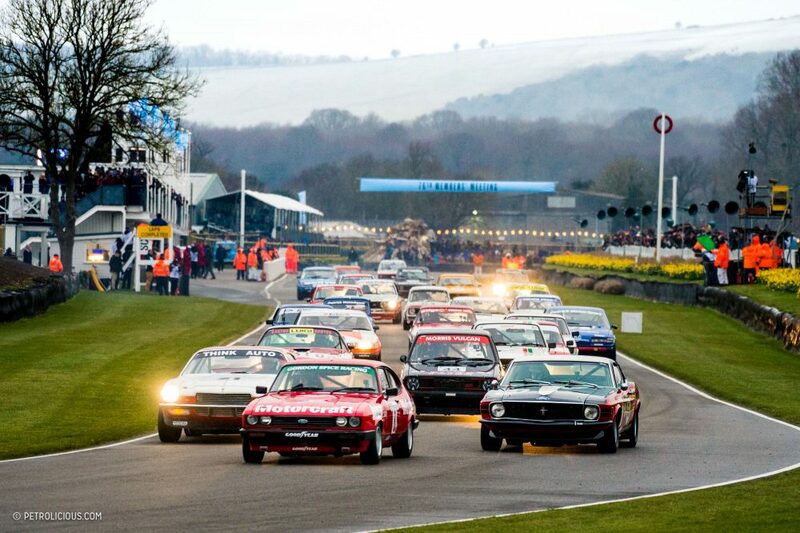 To hear it in action amidst the headlights of the rest of the grid at Goodwood, you can see the Mustang in action here. 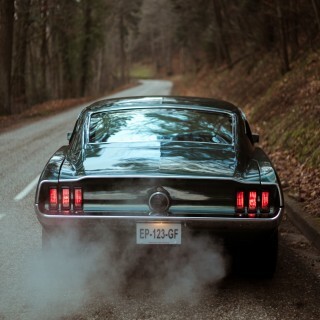 This reminds me so much of my 1970 Mach 1 that I had. 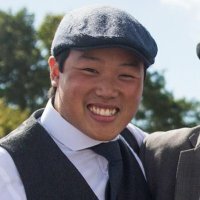 Excellent write up. Thank you ! 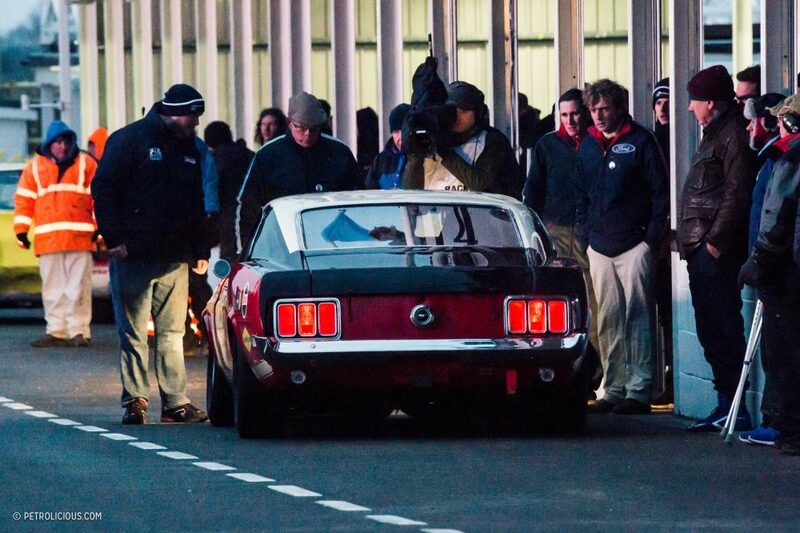 Weird thing is, the car having the 1969 colors. wonder if the original is ever to be found. As always a great story. 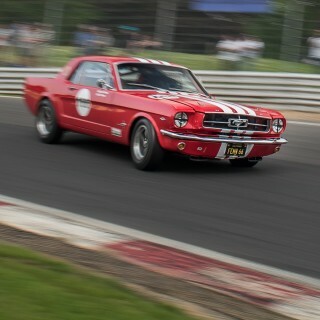 I love to read about this particular model of the Mustang and the fact that they were raced around the world. 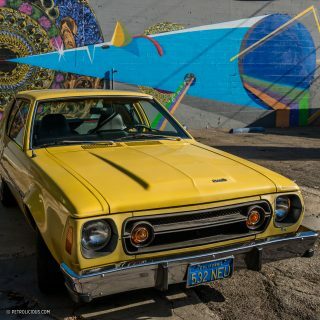 Thanks for the article it’s nice to see some vintage American iron campaigning around the globe and learning its history. 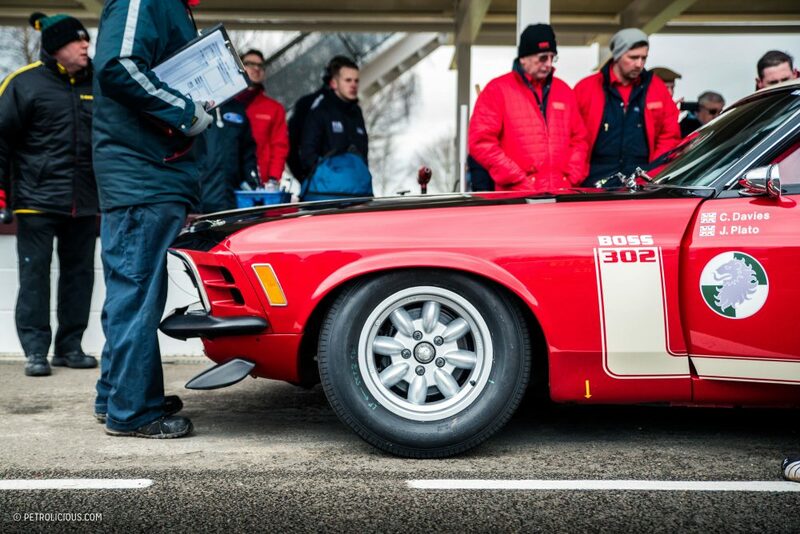 If the shell has been replaced, were the rest of the components transferred from the original car to this one? How do you define “shell” without implying it’s a different car? 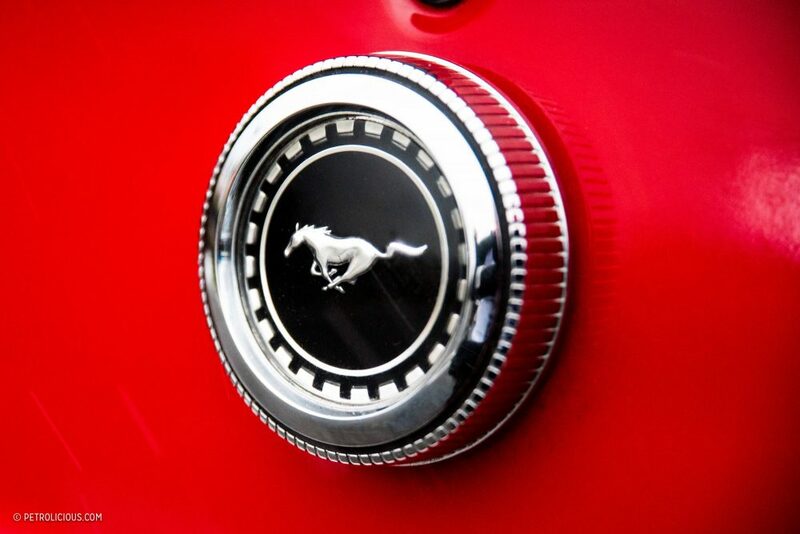 No matter what, it looks amazing. 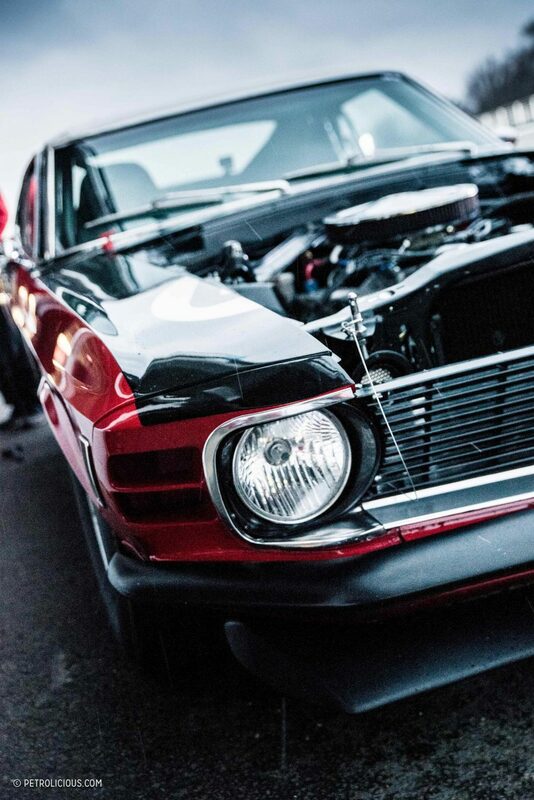 Just to clarify, this car is a complete recreation – no parts are from the ‘original’ car from 1970. 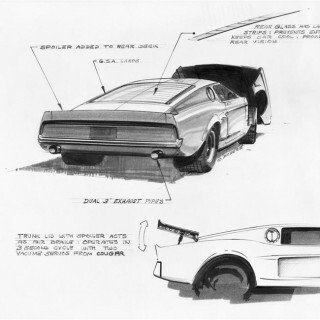 That said, there’s some interesting accounts on the where abouts of the ‘original’, including the bodywork potentially ending up doing Speedway work in Australia where it without a doubt ended up looking very different, meanwhile, the driveline, etc potentially went into a Falcon Touring car or F5000…A bit of a mystery, but it was definitely taken apart. However, if anyone is reading this and has any further information on the original’s fate, I’d love to hear it! Thanks for the clarification. 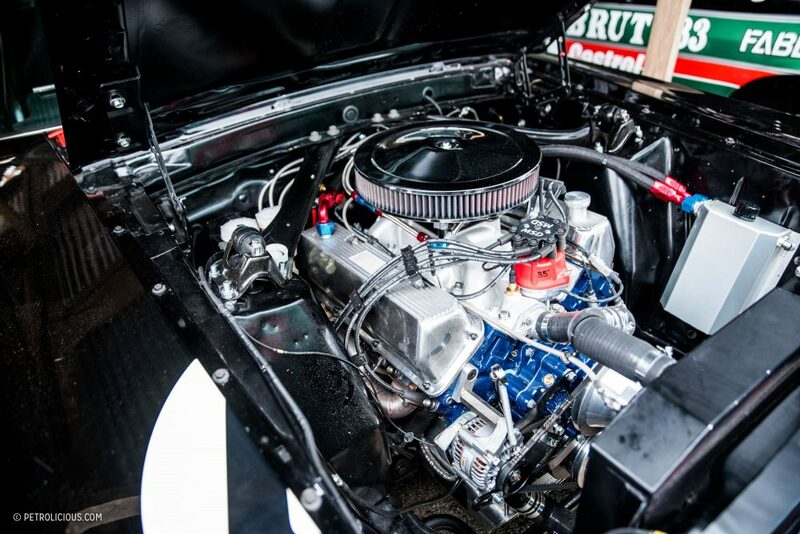 Car restorations and recreations can stir up the pedantic crowd arguing over semantics to no end.